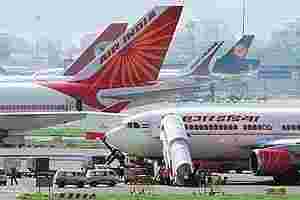 New Delhi: A draft bill to set up a powerful Civil Aviation Authority (CAA) for better regulation of the aviation sector is in an advanced stage of getting the official nod, official sources said on Wednesday. “A draft legislation has been prepared. It is currently being vetted by the law ministry. After this, it will be taken up by the Union Cabinet for approval before it is placed in Parliament," the sources said here. It would have financial and administrative autonomy to take expeditious decisions on matters relating to a range of activities - from regulation of air traffic services and licensing to ensure financial fitness of airlines, they said. The CAA would come up at a time when the total aircraft fleet in India stands at about 440 and is estimated to cross 1,000 in a few years. In addition, there are over 200 helicopters and private jets. The passenger handling capacity of Indian airports, which was just 66 million in 2005, has reached 225 million now and is expected to cross 500 million in the next 10 years. In this backdrop, the CAA would take over the responsibilities of the DGCA in areas like air safety, airspace regulation, setting aviation standards, licensing of airlines, pilots, air traffic controllers and consumer protection, the sources said. The civil aviation ministry is also proposing to provide certain economic regulatory functions to the new authority, including airfares and areas like consumer protection, environmental research and consultancy.